Charles Burt and Omar Parker, current undergraduate students in the School of Film and Photography and executive producers, have their film Anna (2019) premiering in the 72nd Cannes Film Festival in competition for the Short Film Palme d’Or! Jake Whittenberg, alumnus and End Newscaster for King 5 in Seattle was nominated in the Evening News category. Shawn Newton, a former SFP undergraduate student, and Director of Creative Content at MTN Montana Television Network, was nominated for nine Northwest Regional EMMYs for his work in Under the Big Sky series. Undergraduate alumni Phillip Baribeau (2004) and William Lake Springstead (2013) and MFA alumnus George Potter (2006) were nominated along with SFP Professor and MFA Program Director Dennis Aig for a Northwest Regional EMMY for their work on the Montana State University commercial “Think Outside Expectations: MSU’s women in Engineering. ” MSU President Waded Cruzado and MSU Director of Marketing and Creative Services Julie Kipfer and Marketing Strategist and Writer Hillary-Anne Crosby were also nominated for their contributions to the production. MSU alumnus Matt Wheat (2014) was nominated for his work on an episode of UNDER THE BIG SKY. Alumni of the MFA in the Science and Natural History Filmmaking Program are strongly represented at the International Wildlife Film Festival taking place in Missoula this week through Friday, April 19. The Festival Schedule may be found at http://wildlifefilms.org/. Former MFA Visiting Professor Rick Rosenthal is also represented at IWFF by Whale Wisdom. "Risk, reward: Photos explores daredevil mentaility at Evel Knievel" by Cory Walsh is an article in the Missoulian about Alexis Pike and her work. Simon Dixon, who taught film studies, was a good friend of the School of Film and Photography passed away. Simon was one of the kindest, funniest people to cross our paths. Recently, Simon was teaching in the Honors College. His wife Jan is a professor at the MSU Library. There will be a campus-wide memorial service for Simon Dixon who taught in Honors, Film, and English at MSU, on Wednesday, March 13, 2019, at 2:15 pm in Inspiration Hall, at the Norm Asbjornson Building with a reception afterwards. This memorial is being sponsored by Honors and organized in concert with Jan’s family, and other campus friends. Alexis Pike's book Color Me Lucky by Aint-Bad is released. 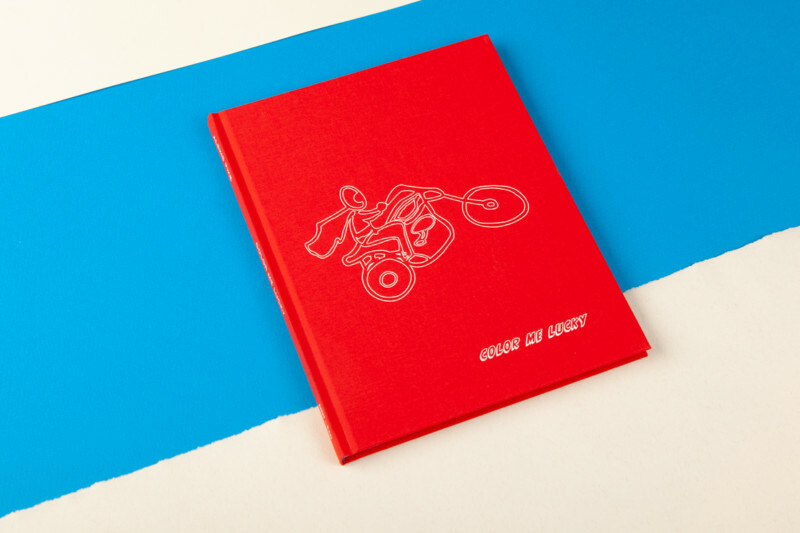 Color Me Lucky examines the allure of risk with Evel Knievel acting as the metaphor. The book addresses the female perspective of a daredevil in her own right. Congratulations Alexis!! Congratulations to David Shannon-Lier on being featured in the article "CAPTURING TERRESTRIAL TRACINGS OF THE COSMIC MACHINE" of Wired.com!! Assistant Professor Cat Dale recently signed a screenwriting assignment with ELEVEN ARTS Studios for a feature film project. Congrats Cat!! The Adobe Creative Cloud collection of software is available to all MSU undergraduate students at no additional cost through MSU's Adobe Enterprise agreement. Alexis Pike is featured in AINT—BAD, An Independent Publisher of New Photographic Art. Tenzin Phuntsog and Joy Dietrich's feature documentary "Rituals of Resistance" gets its US Premiere on Oct 21st, NYC at the Margaret Mead Film Festival. MSU professors Christine Stanton, Lucia Ricciardelli and Jioanna Carjuzaa, along with MSU students collaborating in Digital Storywork Partnership that offers a series of filmmaking and research workshops to members of tribal communities. More from MSU News Service. MSU students Omar Parker and Charlie Burt's film production company Egerton Crescent Productions offering financing help, management, organization, and accounting goes international! More from KBZK.... and MSU News Service. Former MSU theatre instructor and current actor Bill Pullman will be awarded an MSU honorary doctorate! 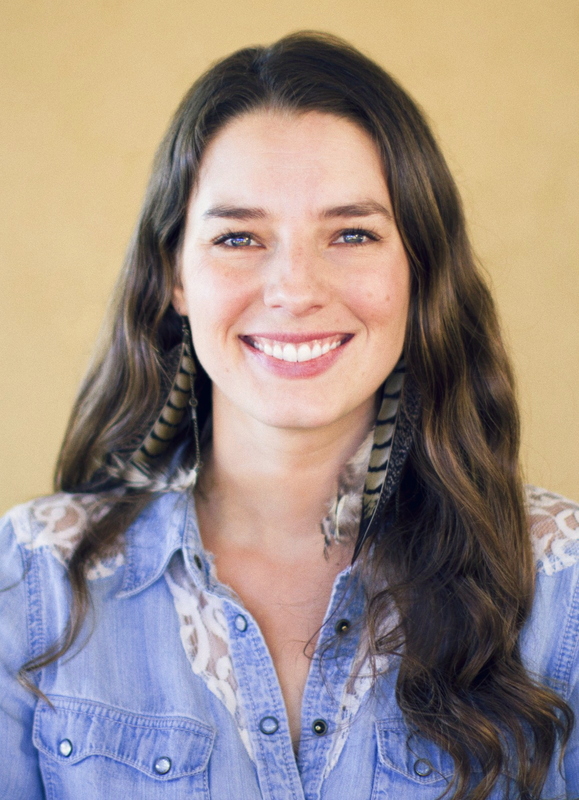 Christina Sauer was awarded a Jackson Hole Film Festival Fellowship. Jason Roehrig's (MFA student) film for Western Landowners won a Wildlife Conservation Film Festival in New York City. Alumnus Kyle Eaton, now a Portland Oregon based filmmaker is on the festival circuit with his first feature file "Shut Up Anthony". Unbranded and Charged produced by Dennis Aig and directed by alumnus Phillip Baribeau wins numerous awards. Christina Anderson's book Salted Paper Printing is published and available on Amazon and bookstores. Ian van Coller's artist books including The Last Glaciers have been acquired by Yale, Kruizenga Art Museum, University of Wisconsin Madison, and Stanford. Alexis Pike was a featured speaker at the Society for Photographic Education at Oregon State University. Faculty members Tenzin Phuntsog, Andrew Nelson, and Lucia Ricciardelli were awarded Scholarship and Creative Grants. Tenzin Phuntsog was awarded a Montana Film Grant. Tenzin Phuntsog was invited to speak at the National Gallery in Singapore and the University of Netherlands. Joy Dietrich directed and produced ten videos for the Center of Mental Health Research & Recovery for a pilot program to aid rural Americans. Karl Swingle is working on a film funded from a grant from the Montana Humanities. Jim Joyce won a Mary Edsel McClaughlin grant and traveled to Macedonia to film. MSU professor Ian Van Coller focuses camera on vanishing glaciers! Dennis Aig reflects on the film was “A River Runs Through It”!! Alexis Pike and her wonderful photography students in Pro Practices!! Fast forward to 7:48 minute mark to see the KBZK coverage!! In May 2017, Architecture graduate students, Reverend Campbell-Pearson and community volunteers began the construction of a prototype tiny house for the homeless under the supervision of Professors Ralph Johnson and Bill Clinton of MSU's School of Architecture. The building process was documented by graduate students MFA film graduate students Jessica Portuondo, Evangeline Koonce and Dan Larson under the guidance of MSU Film Professor Lucia Ricciardelli. 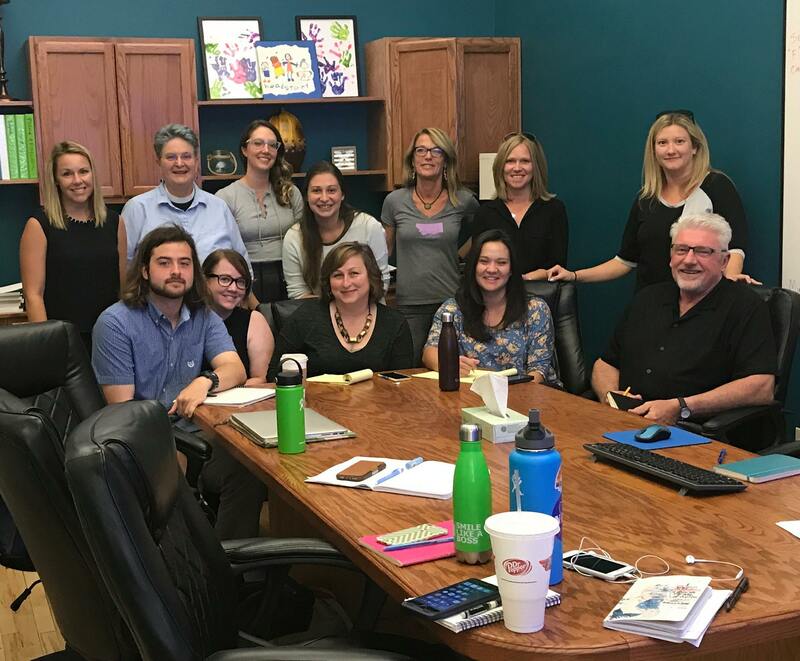 This cross-disciplinary collaboration demonstrates the potential of faculty and students to share both their professional skills and responsibility to serve outreach to our community. Portuondo, Koonce, and Ricciardelli are producing a documentary film following this HFV Project. MFA students Annie White, Caitlin Bailey, and Emily Narrow interviewed onboard the NOAA ship, Okeanos Explorer. Tippet Rise's recently launched YouTube channel! Kathy Kasic directed, shot films, and supervised student interns. Much of the concert performance footage was taken by our SNHF grad students interns Billy Collins, Katie Mullen, and two audio interns - one from the MSU School of Music - Jake Pickett. 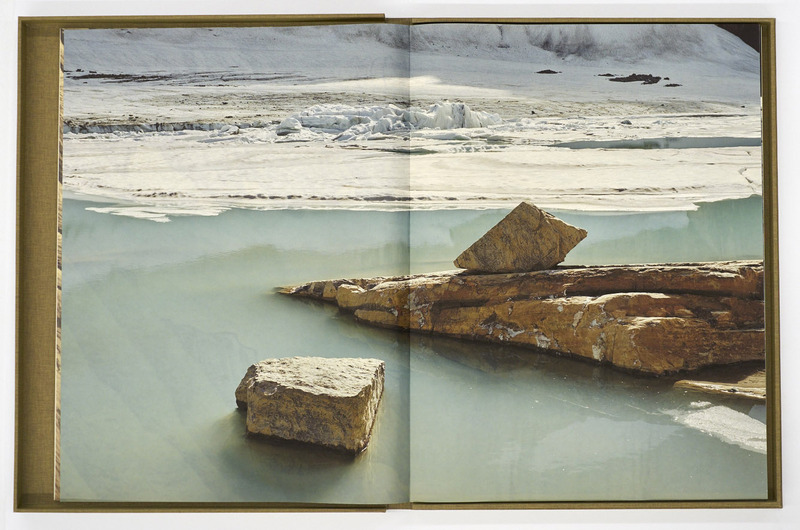 The limited edition art book, The Last Glacier (2015), by Ian van Coller, Todd Anderson (Clemson University) and Bruce Crownover (Tandem Press), has been acquired by the Metropolitan Museum of Art, the Library of Congress, the New York Public Library, UW-Madison Special Collections, Clemson University in South Carolina, the Jordan Schnitzer Family Foundation, and by other private collectors. The book is an edition of 15 and contains 23 woodcuts and photographs of the receding glaciers in Glacier National Park, MT. 1. Film Option Alumnus Jason McGatlin (2010) has continued to add to his long list of feature film credits as the executive producer of Star Wars: Episode VII - The Force Awakens. It is the highest grossing film in Walt Disney Studios history, the third highest grossing film of all time, and it is still in release. McGatlin currently is the Senior Vice President of Physical Production for Lucasfilm overseeing all Star Wars films including Rogue One set for release Dec. 16, 2016 and Star Wars: Episode VIII, scheduled for release on December 15, 2017. 2. Photo Option alumnus Sean Thomas Foulkes (2013) is one of 4 finalists for the 2016 Aperture Portfolio Prize, which is a major photography award. More information about this accomplishment may be found at http://aperture.org/portfolio-prize. 3. Photo Option alumna Brittany Nelson (2007) won a Creative Capital Grant last year and has a series of major solo shows coming up this year. 5. Film Option alumnus Jason Burlage (1995) premiered his nonfiction feature The Middle Kingdom in the feature documentary competition at the 2016 Big Sky Documentary Film Festival. Jason also continues to head Devolution Films, which presents the Bozeman Doc series at the Emerson Cultural Center in Bozeman. 6. Film Option alumna Aria Stewart (2006) recently accepted a position with Lululemon Athletica, as the Operations Manager for their Photo/Video team in Vancouver, BC. 7. MFA in Science and Natural History Filmmaking alumnus (2007) Kathryn Kasic’s documentary film Loose Horses, will be screened at the Ethnografilm Festival in Paris as well as at Le Laboratoire, an “artscience" lab, also in Paris. Kathy also continues to serve as a Teaching Professor in the SFP and as Founding Director of the MSU Center for the Communication of Science (CCS). 9. SFP Professor Lucia Ricciardelli received a seed grants from the MSU Outreach and Engagement Council . The grants promote outreach and engagement activities involving faculty, students and staff in collaboration with local and regional partners. Professor Ricciardelli and Professor Christine Stanton of the Department of Education are collaborating with Blackfeet Community College (BCC) on "Piikani Digital Storywork," a project that collects digital stories from the Blackfeet tribal community. Through the project, students and faculty at BCC and at Blackfeet Academy high school will learn filmmaking techniques from MSU students and faculty, who, in turn, are engaged in culturally responsive, community-centered filmmaking and education. Professor Ricciardelli and Professor Stanton joined with Cinda Burd to do a pecha kucha-style presentation about their work at the Celebrating Research and Creative Activities Serving Indigenous Communities event presented by the MSU Vice President for Research and Economic Development Dr. Renee Reijo Pera. 10. SFP Teaching Professor James Joyce, in collaboration with School of Engineering faculty member Bill Schell, received an Instructional Innovation Grant from the MSU Center for Faculty Excellence for a “flipped-classroom approach project entitled Digital Reading Guides. 11. SFP Professor Chris Anderson has been invited to speak at the 2016 Montana American Chemical Society (ACS) section meeting in April. She will speak to a forum of chemistry students and professionals about the application of chemistry to photography. 13. Unbranded, directed and photographed by SFP 2004 alumnus Phillip Baribeau, produced by SFP Professor Dennis Aig, edited by MSU alumnus Scott Chestnut (1978), and co-photographed by MSU alum Korey Kaczmarek (2004), continues to win awards and honors. (A total of 17 filmmakers with MSU roots or affiliations worked on the film.) The film was selected as the Best Environmental Film at The Vancouver International Film Festival, and was chosen as TheBest Western of 2015 by the Western Heritage Foundation. The film was also released theatrically in Europe this month. 14. Finally, but by no means leastly, Breanna Karasko, the daughter of SFP Student Advisor Vicki Miller, earned the title of Chili Queen by taking first place at the Broken Arrow Chili Cook Off in Manhattan, Montana. OF the 33 entries, her Chicken Green Chili Verde received 122 votes. MFA in Science and Natural History Fimmaking alumna Deia Scholsberg (2013) produced the film How I Learned to Let Go and Love the Things Climate Can’t Change, which was accepted into the U.S. Documentary Competition at the Sundance Film Festival in January. Directed by Josh Fox, who is perhaps best known for the Gasland films, the production was well-received. MFA alum Refah Seyed Mahmoud (2014) and current student Erik Rochner contributed to Dennis Danfung’s Mobile VR work that was included in the New Frontiers section of Sundance. Refah was a co-producer and Erik was a cinematographer on the project. Associate Professor Alexis Pike was one of only 47 photographer from throughout the world nominated for the prestigious Baum Award. The Baum singles out “emerging” American photographers for support and is one of the largest national awards among the grants and fellowships available in photography. The recipient will be announced later this year. Professor Pike also had twenty-two images from her “Color Me Lucky” series, which was supported in part by an MSU Scholarship & Creativity Grant, featured on Wired.com in November. The article highlighted a portion of the project completed at Butte’s Evel Knievel Days in 2014/2015 and included an interview with Professor Pike regarding the project. SFP Assistant Teaching Professor Jonathan Long’s work was included in the photographic exhibit, “Upper Snake River Basin,” that is currently showing at the Center for the Arts in Jackson, Wyoming. The work was also shown last summer at The Art Museum of Eastern Idaho. SFP Undergraduate alumni Chis Mangano and Crystal Grooms Mangano (both 2005) each had films accepted into the upcoming South By Southwest Festival in Austin, Texas. Chris produced And Punching the Clown and Crystal composed the score for Aspergers Are Us. South By Southwest is one of the major independent film festivals in the world. SFP MFA in Science and Natural History Filmmaking alum Daniel Schmidt (2014) and his work were featured in the recent article in BLTNEWS.